The Kenyan government has concluded plans to tax internet access as the parliament on Thursday, September 20, approved a measure imposing excise duty on telephone and internet data services, thereby attracting condemnation from Paradigm Initiative. reports ITREALMS. 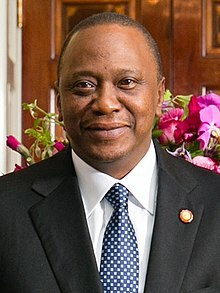 The President of Kenya, Uhuru Kenyatta left Kenyans surprised by recently proposing an increase in Internet Tax through the alteration of the Finance Bill 2018. This Bill was earlier declared illegal by the High Court. This tax increase comes at a time when subscribers are also paying increased fee on mobile money transfer services after the government raised excise duty from 10% to 20% in July 2018. “Due to this approval, excise duty will increase on telephone, Internet data and mobile phone services. Business will be greatly affected especially small businesses that rely heavily on mobile and Internet money transfer. Other businesses that will suffer by this tax introduction include online businesses such as Vlogging, online writing, e-commerce stores, telemarketing and blogging,” Ndungu added. What this means is that 100 Kenya shillings worth of airtime that currently attracts 10 Kenyan shillings tax will now see the Treasury earn an extra 15 Kenyan shillings. This tax is estimated to affect over 44.1 million subscribers, going by the figure on mobile subscribers contained in Communications Authority of Kenya third quarter report of to March 2018. “The situation is disappointing since Kenyans are already among the most heavily taxed income earners in the world without any evidence as to how they benefit from these heavy taxes,” Ndungu submitted.